Is your air conditioner running but not cooling? Here are some easy steps you can take to increase the cooling of your air conditioning unit. These steps are effective to maintain your air conditioner, help prevent costly air conditioner repairs while prolonging the life of your unit and assist in reducing expensive energy bills as your system is functioning at peak performance year round. Cleaning your air conditioner condenser coil and the outside of your air conditioner is recommended at least once annually and preferably twice per year in warmer climates. Maintaining a clean air conditioner condenser and coils reduces your utility bills and can prolong the life of your equipment. Visually inspect the outside of your air conditioner unit and then remove any large debris that is on or around the coils. You can use a coil brush to clean the large debris from the coils. Using an adjustable fin comb can be used to free up any small debris and straighten crushed fins. Foaming coil cleaner can be purchased online for added cleaning power for those really dirty units. Let it soak for 5-10 min and then rinse with water until all dust and dirt is removed. 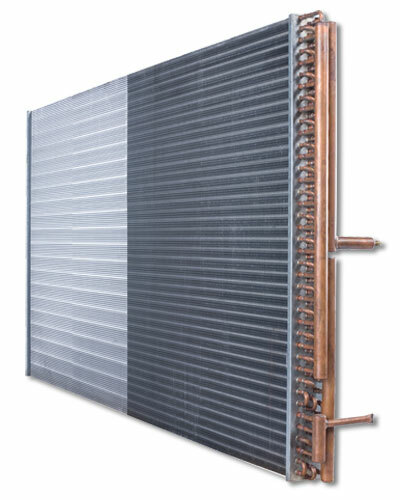 Afterward, a product called First Strike Micro Coat can be used on evaporators or condensers. After your coil is clean, let it drip dry for a few minuets, than apply (even while wet) and coat the whole coil. This creates a molecular barrier and keeps dust and dirt from sticking to it. Maintaining a clean and energy efficient air-conditioning unit doesn’t have to be a difficult task. By keeping the unit and coils free from debris you allow more air to freely flow through the condenser coils. Washing the coils with water and cleaner you can easily remove build up of dirt and dust. This can prolong the life of your unit and reduce costly energy bills. This entry was posted in Air Conditioning and tagged air conditioning repair, Preventive Maintenance. Bookmark the permalink.